HydraSource Detangling Solution is rated 1.6 out of 5 by 137. 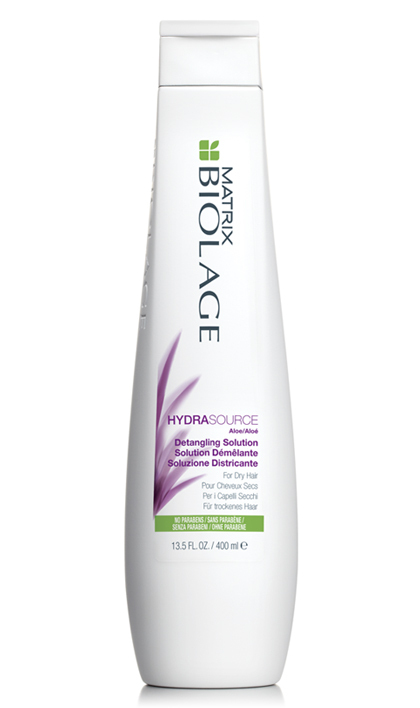 Share https://www.matrix.com/biolage/core/hydrasource/hydrasource-detangling-solution HydraSource Detangling Solutionhttps://www.matrix.com/~/media/images/haircare/biolage/core/hydrasource/biolage_hydrasource_detanglingsolution_b-hs-ds.jpg Detangles and controls static for less frizz and fly aways. Rated 1 out of 5 by Melly19 from I Finally Gave Up I finally gave up on this product ever being what it once was. I've written multiple times on this page and I see my reviews always come with a suggestion of a different product. With the negative reviews, I just cannot for the life of me understand why the product does not get changed to what it once was. I have found another product that works as well as this one "did" before the formula changed from blue to whatever this white stuff is that says they added aloe but also we are told is the "same formula." The texture is different and the color is also different - how could we be expected to even believe it's the same formula? Well I stretched out my last liter bottle of the "blue" long as I could. I had to turn to another product. So, anyway, I gave up and I found another product to which I can be loyal (Pureology Hydrate). Sorry Biolage Detangling Solution, I miss you, and so do many others. Rated 2 out of 5 by Tamme from Bring back the Blue I used the original "blue" Biolage Detangling Solution for well over 25 years (probably more like 30+ years)! I used it on MY long hair, and my 3 daughters (all with long hair). I used to recommend this product to all of my friend that had children with long hair. Painless hair care! But then you changed the formula. The first time I purchased the "new" formula, I noticed the product was white, not "blue". After using the "new" formula, I realized right away that it did NOT work as well as the "blue". I returned it to the salon where I purchased the product to exchange it for the right formula, only to find that all of their inventory had the "new" formula. No, it didn't say, "New Formula" on the bottle, it didn't say "the color has changed to white", it was just a sneaky move. I've read the replies from Matrix saying that the formula is the same - That is bullcrap!! You definitely CHANGED the formula!! SERIOUSLY, your NEW formula, does not work!! Your customers are smarter than that! I have switched over to a product called "It's a 10". It is a great detangler. I use it on myself and my young granddaughters (who used to hate combing out their hair after a bath or shower). It works, but it's still not as good as your "OLD" formula Detangling Solution. The "old" product was a MIRACLE! The current product is OKAY, at best. There is nothing that stands out about your current detangling solution. It works as well as anything else on the market. Not unique and not worth recommending to anyone else. PLEASE! Bring back the BLUE!!! Rated 5 out of 5 by tkbonner from Great! Hands down! One of the best conditioners I have used. I have coarse hair. I was pleasantly surprised by how soft this conditioner and hydrated this conditioner made my hair. Rated 5 out of 5 by Nicky100 from Loooooove this product I have long hair that always knots up. This products keeps my hair tangle free. Love this product. Can't live without it. Rated 1 out of 5 by Linda316 from The New White Formula Is AWFUL!!! I have been using the thinner, slightly blue tinted formula for years. My salon had a huge sale on this product (I purchased 7 of the large 33.8 liter bottles) and they assured me that the packaging is a bit different (it has a push button lid now instead of a flip cap) but it is the exact same product. IT MOST CERTAINLY IS NOT!!! 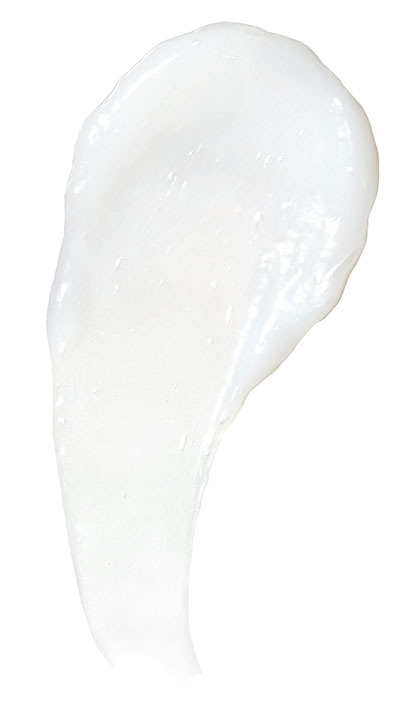 The white formula is much thicker and it makes my hair frizzy. It's the worst thing I've used on my hair in years. Bring back the old formula!!!! I read the Matrix replies to some of these comments and to those who are replying please be advised that I don't want to buy more of your hair styling products so I can use your new sub-par formula. I want the old formula that does not require me to use any styling products in my hair other than shampoo and the detangling solution. Based on the replies you have left to other customers I have come to the conclusion your strategy is to create a product that is designed to create frizzy hair so customers will have to buy your styling products. Rated 1 out of 5 by Wendi from Please bring back the blue! I used the blue detangling conditioner for most my life, until it was changed a few years ago. It is not the same in any regard. Please bring the blue back. I'll buy a case of it!!! Rated 1 out of 5 by Melly2016and17and18 from Why Not Give Customers What they Ask For? Please help us understand why the original formula (before the kind with aloe - back when it was blue) is gone now. So many customers are on here begging for it but nothing changes. Why? I am still clinging to my last bottle......I use it about every two months and people compliment my hair that same day..... So sad. Disappointing. I wonder why you don't want my (our) business anymore? Rated 5 out of 5 by MAVRDM from Great product! Best detangler! Leaves hair silky and soft. It makes combing through wet hair post-shower easy.